Moshtaq Ahmed is the co-founder and CEO of the NybSys, Racson, and other companies which operate in 6 countries on 3 continents. Moshtaq developed and implemented Customs and Border Control Systems, Health Systems, Payment Processing Systems, Enterprise Resource Planning Systems and systems based on Internet of Things. Moshtaq has over a decade’s expertise in enterprise architecture, large scale system design and development, including many e-government systems in Asia and Africa. His many innovative projects have made positive changes to the lives of millions in Africa. Currently NybSys is heavily engaged in IoT R&D and coming up with innovative products for Production, Mining, Agriculture, Education, Security, Home Automation sectors in near future. Moshtaq has a Masters in IT System Management (ALM-IT) from Harvard University. Mr. Ikhtiar Sobhan joined the NybSys group as Chief Marketing Officer in in 2014. Prior to joining NybSys, he worked for 12 years in Telecom, Market Research and other sectors. Just before joining NybSys he was heading the Device Business of Banglalink. In NybSys, Ikhtiar looks after Marketing, Sales, and Customer Care. He also works closely with the Technical team for developing innovative solutions. Ikhtiar is a public speaker about technology, telecom, and writes about technology. Mrs. Noushina Tasnim have extensive knowledge and experience in Human Resource Management. Noushina is heading the Human Resource and Finance departments for DataNet (Swaziland) and NybSys (South Africa) for more than 8 years simultaneously. Noushina has an MBA degree from Jahangirnagar University. She also has a Diploma in Knowledge Management from the University of South Africa and a Certificate Course in Hiring Practices. Mr. Moray Clayton joined NybSys Group in 2012 as the General Manager of DataNet. Moray Clayton is a veteran in Financial Systems and an expert of Public Sector Accounting. Moray has over 40 years of experience in Public Finance Sector in different countries. He has a Masters in Economics from University of Essex, UK and a Bachelors degree in Economics (1st class hons) from University of Western Australia. His vast experience helped many countries to streamline and improve the Public Finance and Accounting systems. Mr. Tewdros A. Asfaw (Teddy) rejoined NybSys in 2016. Teddy is a focused IT professional with practical experience in system administration, network engineering, website development, database, and software development. Teddy has over 10 years of experience with different Governmental, Non-Governmental, and Private sector organizations. He developed a lot of innovative solutions in the last decade. Teddy worked and developed solutions for DataNet, MTN, UNICEF etc. Munir Zaman is currently the Director of Operations-NybSys Australia. He has been working in this role since 2014 overseeing business development, client relationship, service delivery and financial as well as legal affairs of the company. In addition to taking the helm of NybSys Australia, Zaman manages his own accounting firm Fintax Accountants. He has more than eight years experience in this arena. His specialty includes taxation for both businesses and individuals. He works closely with Australian Taxation Office (ATO) and other regulatory bodies in Australia. Zaman is a graduate of Deakin University. When he is not working Zaman explores his interests in venture capitalism and current trends in finance and technology. He currently resides in Sydney. 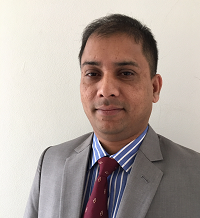 Mr. Ahmed is Associate Professor at the Department of Government and Politics, Jahangirnagar University. He was the chair to the Department of Government and Politics from September 2013- September 2016. He is actively engaged in teaching and research for the last 19 years. His research areas i.e. Governance, Corruption and Parliamentary Effectiveness already have attained scholarly contribution in the respective fields. Mr. Ahmed got his PhD from the University of Heidelberg, Germany. Mr. Robert Oudeverilink is an expert in Minframe Systems. His expertise in Natural/Adabas makes him highly valuable to organizations that uses large scale systems like Mianframes. During the last two decades, Mr. Roberts has done Project Management, Planning, Analysis and Design, Construction and Maintenance, Training, Quality Assurance, DBA and DBA training, Business Process Design, and Consulting. He developed several systems for Swaziland Government (Computer Services, CSIR, Social Pensions and Welfare, ISCOR). Mr. Robert is the Director of ITQ Consultancy Services. Before founding ITQNet, he was the Principal Consultant for Q Data Consulting. Mr. S.V. Mdladla is Swazilan’s leading legal and collection expert. He graduated from the University of Swaziland (Kwaluseni) with a Bachelor of Arts in Law in 1992 and Bachelor of Laws in 1994. After serving on many renowned legal firms like C. J. Littler & Company, Bheki G. Simelane & Company, Ntiwane, Mamba & Partners finally in 2000 he established his own firm S. V. Mdladla & Associates. Mr Mdladla has served as a member of the Building Appeals Tribunal for three years; as member of the Commission of Enquiry of the Swaziland Electricity Board and as member of the Mbabane Centenary Celebrations Committee; Chairman of the Urban Boundaries Committee; member of the Matsapha Rates Evaluation Court; President of the Mbabane City Council Rates Evaluation Court; Inspector at Siteki Town Council; member of the (PLS) Board of Governors. Mr Mdladla was also privileged to be part of the Commission of Enquiry into the working of the Matsapha Airport Manager and gained invaluable experience in the field of aviation.